The product is housed in a tube that's very similar to their lip glosses. 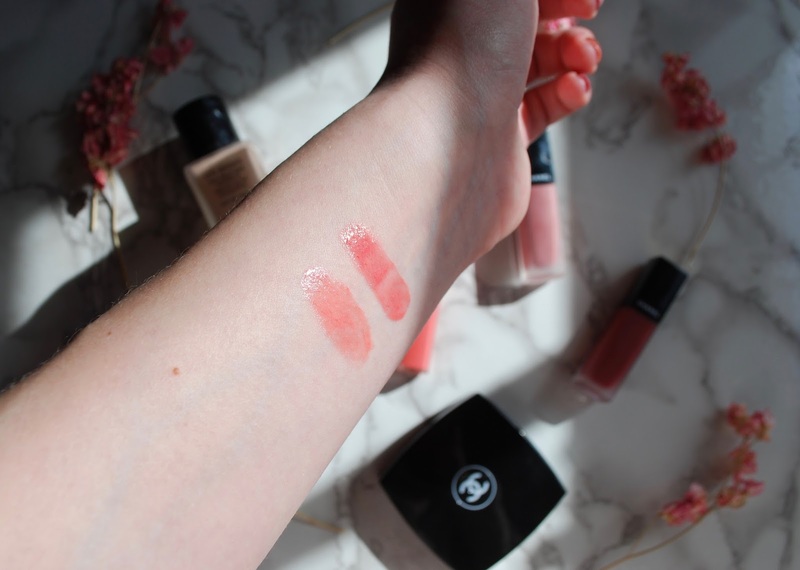 The formula is very gel-like and when it's first applied on the lips and cheeks, it looks juicy and glossy. But to my total surprise, it dried down to an almost matte finish! I was expecting these to give a glossy, highlighted, glowy look to the cheeks, but it dries down to a matte that's pretty similar to other blushes. I do love how sheer and buildable they are. I have shades 410 and 414, Corail Naturel and Tender Rose. The shades are very similar at first glance, but they show up quite differently on the cheek. Corail Naturel is a better blush shade for me because it has more peachy-orange tones that don't accentuate any rosacea I'm experiencing. Tender Rose, on the other hand, looks better on my lips. I'm just not totally in love with how these look on the lips. They kind of accentuate my dry, cracky areas and the pigmentation on the lips themselves is a little patchy. 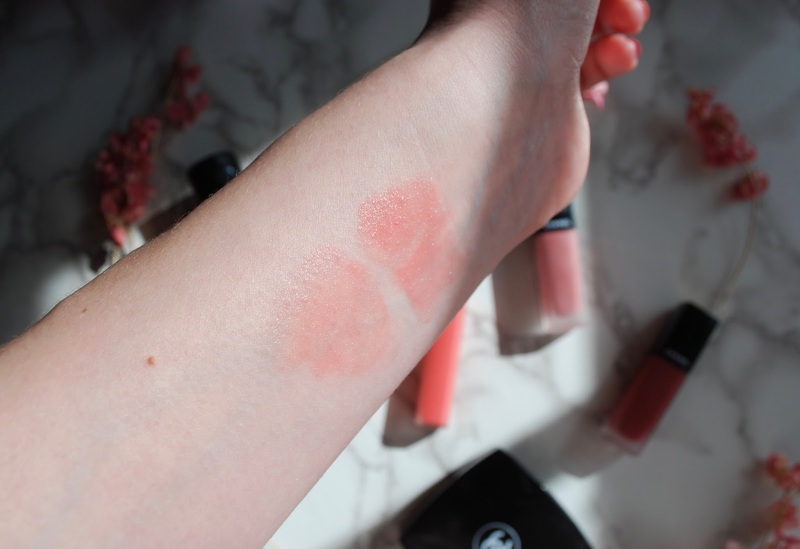 They do dry down quite nicely and leave a pretty, sheer matte stain, but it takes a bit of blending with your fingertip to get it to a point where the lips are evenly tinted. As a blush, I absolutely love it. But as a lip stain, it's not ideal because of its patchiness. So unfortunately, I'm going to have to say that it's not worth the hype, purely because it doesn't function equally as well on the lips as it does on the cheeks. 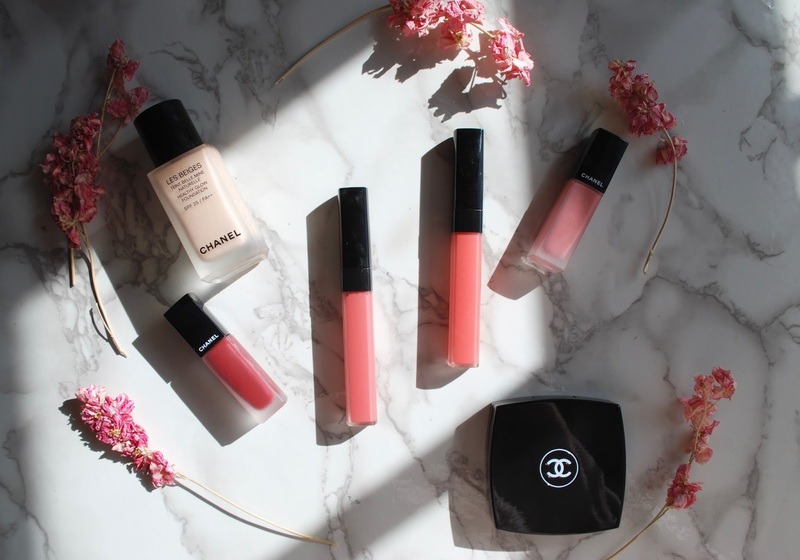 Have you guys tried the Chanel Lip Blush? What are your thoughts?